There are books that will always remind us of the magic that is our reason for reading books. 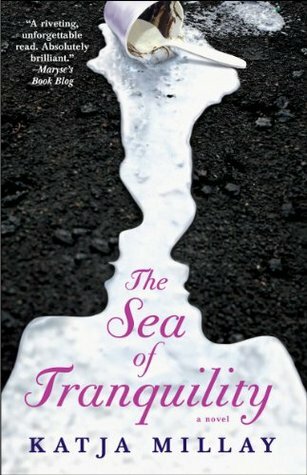 The Sea of Tranquility is one of them. I’ve always heard so many good reviews about this book. How it will make me cry (and it did!!! ), and how the ending was explosive (and it was a pleasant I-KNEW-IT! moment). To be honest, I only read this book because it was mentioned in More Than This. It’s such a pleasant feeling, quite magical, actually, to stumble upon a good contemporary book, one that has the right words that evokes all these emotions inside of you. At the beginning of the book, I was thinking to myself how this book could make so many people cry, and how it has this supposedly amazing ending. I just can’t picture it. But as I’ve read through the book, the words captured me. And I kept thinking to myself, this is why I read books. This is magic right here. But, wow. There is a reason why this is a long book. (Which is also one thing I loved about this book!) And that reason is build up. I want to go on and on about the character development and the twists that had me on the edge of my seat, but it’s 4AM and I’m not coherent enough for a term-paper level of review. But if there would be one reason why you should all read this book, it’s the character development. What I also like about this book is the ending, how it all ended and all the statements and arguements Katja Millay had pointed out at the end.